By the time Gil Kane and Marv Wolfman teamed up on Action Comics, Kane was already revered for his groundbreaking work at both DC Comics and Marvel. That reputation is likely the main reason that Adventures of Superman: Gil Kane exists. From the Silver Age redesigns of Green Lantern and The Atom to a prolific and legendary turn as the Marvel cover artist, the late Kane had an untouchable pedigree. This volume contains the entirety of his 1980s stint on the Man of Steel, along with two specials, a couple of backup stories and an oft-reprinted gem of an Annual. When selecting a Superman artist to spotlight, DC was looking at Curt Swan and “the field.” Swan defined the look of the Superman titles from the late 1950s through the 1980s. 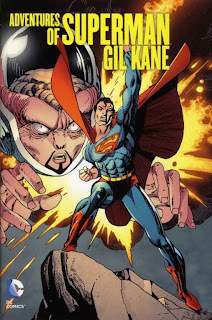 The specs of Kane’s run provided DC with another marquee talent to kick off the hardcover series while presenting some of the most experimental pre-Alan Moore stories in the two solo Superman magazines. In addition to Swan and Kane, memorable takes by Jose Luis Garcia-Lopez (now starring in his own Superman spotlight hardcover), Gene Colan (The Phantom Zone miniseries, reprinted in July) and Jim Starlin (various issues of DC Comics Presents) are compelling alternatives. Collected here for the first time, Kane’s Superman was far-removed from the “house-style” Kal-El. With the tonal changes brought on by Wolfman, perhaps an artistic match was desired. All of the Kane hallmarks appear here in full force, from abstract bursts of energy to three-dimensional throw-downs, choreographed by the unmatched master of anatomy. His Superman explodes from the page, punctuated by distortion and the weight of perfect perspective. Kane was at his best when inking his own work and achieved a level of pure confidence that is reflected in his constant innovation. Following some enjoyable backup fables from “The World of Krypton,” the Wolfman stories begin. The script for the opening saga is incredibly dense; a deconstructionist Superman tale with the hero time-divided and depowered. Clark Kent is seen pondering his true nature and dealing with wholesale changes to long-term relationships. Readers of this volume, like Kane, join the story in medias res, with the artist revisiting The Atom and The Flash as Superman attempts to make his was through time. Trading fisticuffs for some of the psychedelic sorcery of the previous issue, Kane opens Action #541 with a signature full-page 3D punch. A lesser artist may have been overcome by a time-travel-devolutionary-Satanis-doppelganger Superman story, but Kane uses that framework to stretch out and imagine new ways to visualize Wolfman’s experimentations. He makes exceptional use of the twin Supermen as a visual hook, matching the tone of desperation in punctuated, visceral imagery. The Wolfman stories introduce a redesigned Brainiac, leading to a widescreen pre-Crisis crossover between the Justice League and Wolfman’s New Teen Titans. Kane handles much of DC’s stable over the course of the Brainiac arc, climaxing in a star-studded free-for-all. The following set, a Vandal Savage challenge featuring Animal Man, the Sea Devils, Cave Carson and Rip Hunter, is equally well cast and executed. From out of control fauna to unexplained “time-pyramids,” Kane stays step-for-step with Wolfman in what could be deemed a warm-up for Crisis on Infinite Earths. The finale, “If Superman Didn’t Exist…,” shatters the bounds of imagination and belongs alongside the greatest Superman stories of all time. Beyond the continuity-rich material of the Action Comics issues, Kane’s two Superman Special stories are finally presented in high fidelity. The first Special is also written by Kane, while the second presents Superman scribe Cary Bates’ alternative to Wolfman’s in-canon progression of Brainiac. Both offer the same high-energy and physicality in long form, tackling evolutionary allegory in blue tights and red boots. Despite recent reprints in both Shazam! : The Greatest Stories Ever Told and Superman vs. Shazam!, this collection would not be complete without DC Comics Presents Annual #3. A DC multiverse team-up tale of the highest order, it is one of the timeless DC issues that simply cannot be over-printed. Kane returned to the Super-titles briefly in the mid-1990s and was involved with two prestige-format stories, Distant Fires and Blood of my Ancestors, so the material exists for a second volume. The Adventures of Superman: Gil Kane hardcover, however, is not just essential Superman. 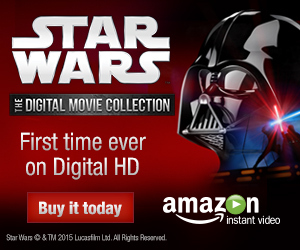 It is essential Kane, produced during an under-celebrated period during one of the great artistic careers. It just happens to also collect, for the first time, some of the finest and most important stories from an extremely creative period in the histories of Kane, Marv Wolfman, and DC Comics. I had been wondering whether or not to pick this up, unsure of what was contained inside. After your review, I have no doubt about adding it to my bookshelf.